ABOUT: For information about the firm and a summary by covering material of all Hurst editions, see Hurst editions. 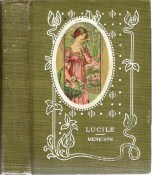 LUCILE’s ISSUED BY Hurst & Company: This page catalogs Hurst's 16mo. and 18mo. 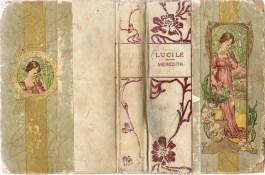 editions (about 4x6" in size) as represented in PTLA and as reported copies to the Lucile project. For the catalog of 12mo. editions (about 5x6.5 to 5x7.5" in size), see Hurst 12mos. Hurst 16mo. and 18mo. editions are listed on this page in alphabetical order by series title. Alligator Classics. 1911 PTLA: 16mo. It would be difficult to present a more dainty idea in a handy volume form than this new padded edition of the Classics. The titles are the best obtainable - the finished book perfect; the Price astonishingly low. Every famous author is represented. Printed on good paper and bound in Alligator covers with gold titles. Each book boxed. 98 titles. Price, 50c. [Cut; see also Westminster Classics below]. 1912-1914 PTLA: [as 1911; 97 titles]. 1915 PTLA: [as 1912; 101 titles]. 1916 PTLA: [as 1912; 61 titles]. Ansonia Classics.1908 PTLA. 16mo. Tasteful little volumes, judiciously selected for their popularity. Paper and printing of the best quality, and handsomely bound in cloths of delicate tints, with full gilt sides and backs, embellished with a lithographic panel inlay in ten colors. The handsomest book of this size published. Each book in a neat box. 108 titles. Price, 50 cents. [Cut]. 1910 PTLA: [as 1909; 108 titles.] [New cut]. 1911 PTLA: [as 1909; 88 titles]. 1912 PTLA: [as 1909; 68 titles]. Biltmore Classics. 1917-1918 PTLA. Flexible Leather Covers. Real nuggets of the World's Best Literature, made up into handy volumes -- a slip-in-the-pocket edition. Paper and printing of the best quality, and exquisitely bound in limp imported cross-grain leather, gilt tops, ornamental design, and titles in gold. Gems of prose and poetry. Boxed. 20 titles. Price, 75 cents. Burnt Leather Classics. 1904 PTLA, 16mo. A Choice Selection of Classic Literature, Suitable for gift purposes or the parlor table. Bound in genuine ooze calf, with floral and scenic designs painted by hand, and titles burnt in the leather, gilt tops, silk markers, boxed. A real novelty in bookmaking. Price $1.25. [Lucile only; cut]. 1904 PW 24 September: Hurst & Co.'s Winners for 1904. 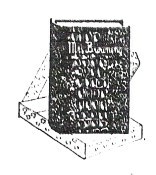 We invite the trade to critically examine our various Lines of Standard Publications before placing final orders, as our goods have been pronounced by the largest buyers of Popular Priced Books to be Best in Value, Quickest to Sell, Lowest in Price and Lead All Competitors.. [Lists:] ... Burnt Leather Classics. [5 cuts]. 26 November: Suggestions for Christmas [includes ... Burnt Leather Classics]. [3 cuts]. 1905 PTLA: [as 1904; new cut]. 1905-1907 PW Nov 25: ad includes ... Hurst's Burnt Leather Classics, 16mo. Very choice for gift purposes. 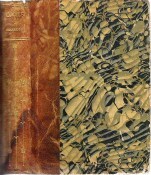 Bound in genuine ooze-calf, with hand-painted designs, and burnt leather titles, gilt top, boxed, 50 titles, price $1.25. 1908-1909 PTLA: [as 1905: 58 titles]. 1910 PTLA: [as 1905; 58 titles, new cut]. 1911-1912 PTLA: [as 1910; 40 titles]. 1913 PTLA: [as 1910; 61 titles]. Calumet Padded Classics. 1909 PTLA: 16mo. A revolution in book-making. A limited selected list of choice literature made up into handy volumes to meet increasing demands for a popular price edition. Well printed and bound in padded covers with gilt tops, back and side titles in gold. Each volume boxed. 25 titles. Price, 75 cents. [Cut]. 1910: [as 1909; new cut]. 1911-1913: [as 1909; new cut]. Cambridge Classics. 1895-1900 American Catalogue. (Cambridge classics.) '96. 16o. 35c. 1896-1897 PTLA: 16 mo. An entirely new line, embracing the best works of the world's greatest writers. 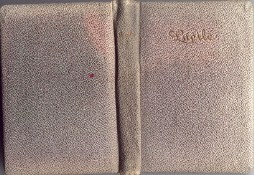 16mo., handsomely bound in cloth, with artistic stampings in aluminum. Price, 35 Cents. [Cut]. 1897 PW Christmas Bookshelf ad: 16mo. An entirely new line, embracing the best works of the world's greatest and most popular writers, handsomely bound in cloth, with artistic stampings in aluminum. 100 titles. Price, 35 cents. [Cut]. 1898 PTLA: 16 mo. An entirely new and improved edition of this famous line, embracing the best works of the world's greatest writers. 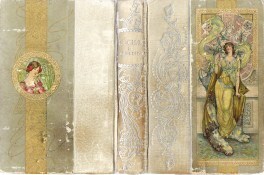 16mos, handsomely bound in cloth, with artistic stampings in colored inks and gold. Many valuable and exclusive additions have been made for this season's trade. Price, 35 Cents. [New cut]. 1899 PTLA: [as 1898; new cut]. 1900 PTLA: [as 1898; new cut]. 1901 PTLA: [as 1898; new cut]. 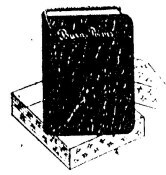 1902 PW 28 September: The Books That Get the Trade / Are Hurst & Co.'s Standard Lines, the sales of which count by the million. The following are items in the list, which you can have complete, with terms, upon request: [among them] 274 Cambridge Classics at 35 cents each; [Also ad, with three cuts, PW, 29 November]. 1903 PTLA: An entirely new and improved edition of this famous line, embracing the best works of the world's greatest writers, handsomely bound in cloth, with artistic stampings in white leaf. Embellished with inlaid medallion portraits, lithographed in eight colors. The most unique and attractive 16mo. on the market. Price 35 cents. [New cut]. 1904-1905 PTLA: [as 1903; new cut]. 1906 PTLA: [as 1904; new cut]. 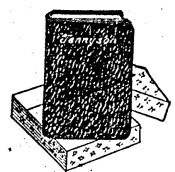 Companion Books, 1918-1919. See Hurst 12mos. Crushed Levant Classics. 1913 PTLA: 16mo. Beyond any doubt, these delightful and dainty little volumes will instantly appeal to the critic. They are bound in Crushed Levant, Padded Covers, and represent a real novelty in book making. Titles by all the famous authors appear on the list. Each volume boxed. 25 titles. Price, 50 cents. [Cut]. Fleur de Lis Classics. 1906 PTLA. 16mos. Tasteful little volumes, judiciously selected for their popularity. Printing and paper of the best quality, and handsomely bound in assorted colored English cloths, with full gilt sides and backs, embellished with delicate floral designs made especially for this series. Boxed. Price, 50c. [Cut]. Flexible Leather Classics. 1903-1904 PTLA: 16mo. 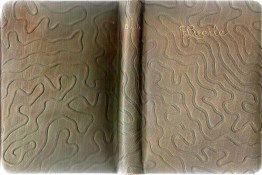 A Selected List of Choice Literature, bound in Full Limp Leather, with Artistic Designs and Titles in Gold. Gilt tops, Silk Marker, Each Volume Boxed. Price 75 cents. 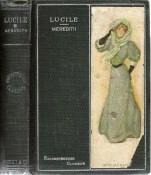 [Lucile only; cut of Lucile]. 1903 PW; 28 November: [Holiday Announcements ad includes three cuts, one of Lucile in Flexible Leather binding]. Gems from the English Poets., 1908 PTLA. Also as Little Gems.... 1909 PTLA: 16mo. Hand-Painted Leather Classics. A limited and well-chosen collection of the best English poems which to-day are most in demand. Printed on paper of excellent quality, these charming volumes will be found admirably suited for gift purposes. Bound in limp burnt grained leather, with hand-painted floral designs in natural tints, titles in gold, silk markers and gilt tops. Boxed. 15 titles. Price, $1.50. [Cut]. Halcyon Classics. 1906 PTLA. 16mo. A selection of the most popular Classics, artistically made and at moderate cost. 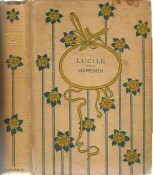 Printed from clear type on good paper, and bound in White Vellum Cloth, full gilt sides and backs, with original drawn medallions of delicate flowers on a silver background. The daintiest 16mo. published. Boxed. Price, 50c. [Cut]. Half Bound Classics. 1917-1918 PTLA: Cloth Backs and Corners, Marble Paper Sides. A judicious selection of well-known subjects, which will appeal to those in seach of standard authors at modest prices. 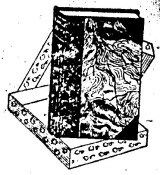 Paper and printing of the best, and bound in English vellum cloth, with marble paper sides. Titles in gold. Charming books at little cost. Boxed. 35 titles. Price 50 cents. [Cut]. Half Leather Classics. 1904-1905 PTLA: 16mo. A dainty series of choice books embodying all the features of a well-made volume at a nominal price. Substantially bound with leather backs and corners, with a handsome design in gold. Gilt tops and silk marker. Each book in a neat jacket. Price 60 cents. [Lucile only; cut]. 1904 PW 24 September: Hurst & Co.'s Winners for 1904. We invite the trade to critically examine our various Lines of Standard Publications before placing final orders, as our goods have been pronounced by the largest buyers of Popular Priced Books to be Best in Value, Quickest to Sell, Lowest in Price and Lead All Competitors.. [Lists:] ... Half Leather Classics. [5 cuts]. 1906-1910 PTLA: [as 1904; new cut]. Ideal Series of Standard Classics. 1902 PTLA: 16mo. Each volume is a beautiful sample of the bookmaker's art. Boxed in Morocco, with Embossed Designs, Padded, Round Corners, Full Gold Edges, and Boxed. Price, $1.00. [Cut]. 1903-1904 PTLA: 16mo. Each volume is a beautiful sample of the bookmaker's art. Boxed in Morocco, with Floral Design in gold, Padded, Round Corners, Full Gold Edges, and Boxed. Price, $1.00. [Cut]. 1904 PW 26 November: Suggestions for Christmas [includes Ideal Series. 3 cuts]. 1905 PTLA: [as 1903; new cut]. 1906 PTLA: [as 1903; new cut]. 1907 PTLA: Padded, 16mo. Each volume is a beautiful example of the bookmaker's art. Bound in exquisite Morocco with unique Grained Leather in attractrive tints. Padded, Round Corners, Full Gold Edges, and Boxed. Price $1.00. [New cut; see also Premier Classics; Tuxedo Classics]. 1908 PTLA: [as 1907. 54 titles]. 1909 PTLA: [as 1907; 101 titles; new cut]. 1910 PTLA: [as 1909; new cut]. 1911 PTLA: Padded, 16mo. Each volume is a beautiful example of the bookmaker's art. Well printed on paper of good quality, and exquisitely bound in grained Morocco, with titles in gold. Padded, round corners, gilt tops, and in a fancy box. A handsome book for critical buyers. 50 titles. Price $1.00. [New cut]. Knickerbocker Classics. 1907 PTLA: 16mo. An absolutely new line of 16mos., embracing all the elements of a well-made book, and consisting of the works of the World's greatest writers. Printed from new plates on good paper, these little volumes command attention. Bound in assorted cloths with a lithographic panel inlay in colors, and stamped in white leaf. A unique departure in book-making. The most attractive line on the market. Wrapped. 136 titles. Price, 35 cents. [Cut]. 1908 PTLA: [as 1907; 38 titles]. 1909 PTLA: [as 1907; 130 titles]. 1910 PTLA: [as 1907; 134 titles; new cut]. 1911 PTLA: [as 1910; 111 titles]. 1912 PTLA: [as 1910; 83 titles]. 1913 PTLA: [as 1910;101 titles]. 1914-1915, 1917-1918 PTLA: [as 1910; 96 titles; new cut]. Laurelhurst Series. 1899 PTLA: 16mo. A selection of the very best selling and most popular classics. Very artistically made, combining elegance, beauty and moderate cost to an extent not heretofore equaled. 16mo. in size, printed from clear type on good paper, and bound in the best English Vellum Cloth, with handsome designs worked in choice colored inks. Gold top, silk ribbon marker, and each volume boxed. Price, 50 Cents. [Cut]. 1900-1901 PTLA: [as 1899 except... "designs worked in silver, and elegant floral sides." New cut]. 1902 PW: 28 September: The Books That Get the Trade / Are Hurst & Co.'s Standard Lines, the sales of which count by the million. The following are items in the list, which you can have complete, with terms, upon request: [among them] 150 Laurelhurst Series at 50 cents each. [Also ad, with three cuts, PW; 29 November]. 1902 PTLA: [as 1900 except "... elegant floral sides worked in natural colors." [new cut]. 1903 PTLA: 16mo. A selection of the and most popular classics,combining elegance, beauty and moderate cost. 16mo. in size, printed from clear type on good paper, and half bound in English Vellum Cloth, with designs in silver, and floral sides reproduced in natural colors.. Gold top, silk ribbon marker, and each volume boxed. Price, 50 Cents. [Cut]. 1904 PTLA: [as 1903 with new cut]. 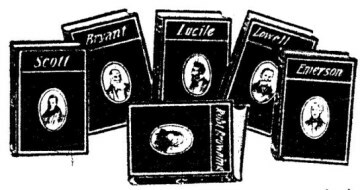 1905 PW November 25: advertisement includes Laurelhurst Series, 16mo., A selected line of the most popular classics. 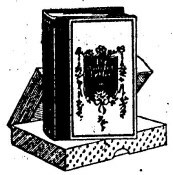 Ornamented paper sides, gilt top, 172 titles, 50 cents. Little Gem Classics. See also Gems from the English Poets. 1907-1912 PTLA: 5 Volumes, Half Leather, 16mo. Price, $3.00. A most fascinating set of five little volumes at a remarkably low price. These "golden nuggets" are well printed on paper of good texture, and bound in the latest Louis Quinze variegated half calf, with full gold backs and gold tops, and marbled edges. Each set in uniform color leather. Boxed. A handsome set of books for any purpose. 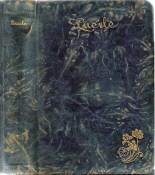 [Cut; Lucile is set #7, boxed with Favorite Poems; Lady of the Lake; Love Poems; and the Rubaiyat]. One Million Series. 1914-1915 PTLA: Every title has sold over 1,000,000 copies. This charming line of famous books by famous authors is unique, from the fact that the sales of each book has exceeded one million copies. The volumes are jewels in point of manufacture; well printed on good paper and bound in three colors of cloth, with ink and gold stampings and tinted papers. 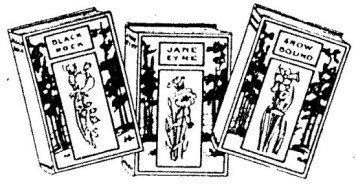 Each book in a floral box. Tall 16mo. 36 titles. Price, 50 cents. [Cut]. Ooze Calf Classics. 1913-1916 PTLA: 16mo. A beautiful line of dainty gift books containing the very cream of literature. These charming volumes are bound in genuine Ooze Calf, with titles in gold. Gold tops. Each book with uncut edges, fancy end sheets, and in a fancy box. Excellent books for presentation purposes. 25 titles.Price, $1.00. [Cut]. Ooze Leather Classics. 1905 PTLA: 16mo. The very cream of literary masterpieces made into tasteful volumes for use as gifts. Burnt leather, padded, full gold edges, with hand-painted designs. Each volume boxed. Price $1.25. [Cut]. Pocket Classics. 1906 PTLA. 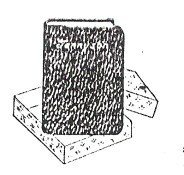 A selected list of the cream of the World's Literature, made up into dainty little volumes that can be conveniently carried in the pocket. Well printed on good paper and bound in limp dark green leatherette, with gold tops, silk book markers and colored frontispieces. Each book wrapped and boxed. 16mo. Price 50 cents. [Cut]. Poetical Classics. 1907 PTLA: 16mo. An attractive series consisting of Poetry exclusively. Paper and printing of the best quality and bound in assorted colors of cloth with white leaf stampings. 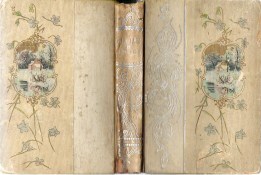 Each volume with lithographic inlaid picture of the Author. Wrapped. 36 titles. Price, 35 cents. [Cut, including Lucile]. 1908-1909 PTLA: [as 1907; 39 titles]. 1910-1912 PTLA: [as 1908; 40 titles]. Popular Classics. 1883 PTLA: Hurst's Popular Classics. 18mo, cloth, gilt. Per vol. 50c. [offers both Lucile and Works]. 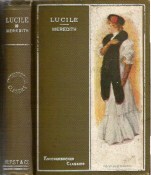 1884 PTLA: Entry at Lucile indicates the title is offered in the Red Line, Arlington and Popular Classics series, but neither Lucile nor the Works is listed under Arlington editions and only Lucile is listed under Popular Classics. Premier Classics of Select Literature. 1907 PTLA: Padded, 16mo. A strikingly handsome line of selected little volumes. Which are models of beauty. The paper is of the best quality and the printing well executed from new plates. Bound in extra heavy padded leather covers, finished in tints which harmonize. Titles in gold. Each book with a lithographic frontispiece in colors. A fancy box for each volume. 30 titles. Price, $1.25. 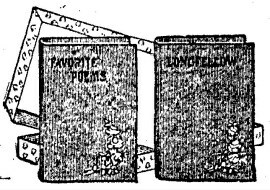 [Cut; Note that in 1907 Hurst offered this 16mo "Premier Classics of Select Literature" edition; it also that year offered a 12mo "Premier Edition of Padded Poets." 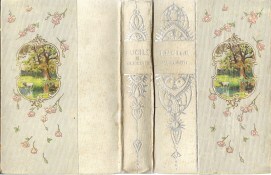 The illustrative cuts of the two bindings seem nearly identical, though the width and height of the two editions were notably different. See also 1907 Idea Seires above; Tuxedo Series below]. Primrose Poets. 1914-1915 PTLA: Tall 16mos. A handsome edition of the best-known poets made up into the most exquisite volumes ever shown. The aim of the publishers has been to produce a dainty line to meet the requirements of the critical. 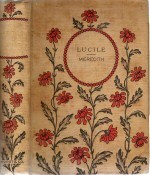 Well printed on good paper and bound in cloth with a full lithographic inlay of floral designs. Each in a floral box. 30 titles. Price, 50 cents. [Cut]. Tuxedo Classics. 1917-1918 PTLA: Genuine Imported Cross-Grain Padded Leather Covers. A strikingly handsome line of selected little volumes, which are models of beauty. The paper is of the best quality, and the printing well executed. Bound in Genuine Imported Cross-Grain Padded Leather Covers, red-under-gold edges, with titles in gold. Dainty books for critical people. Boxed. 20 titles. Price, $1.00. [Cut; see also 1907 Ideal Series, Premier Classics above for similar cut]. Venetian Classics of Select Literature. 1909 PTLA: Padded 16mo. A strikingly handsome line of selected little volumes, which are models of beauty. The paper is of the best quality, and the printing well executed from new plates. Bound in extra heavy padded leather covers, finished in tints which harmonize. Titles in gold. Each book with a lithographic frontispiece in colors. A fancy box for each volume. 31 titles. Price, $1.25. [Cut]. 1910-1913 PTLA: [as 1909; new cut]. Westminister Classics. 1910-1911 PTLA: Padded 16mo. A charming line of beautiful books. Great care has been taken to produce a creditable volume in all respects. Well printed on good paper, and bound in Alligator grained padded leather covers, with gold titles. Boxed. 25 titles. Price $1.00. [Cut; see also Alligator Series].